Here we try to collect all known Clones and Remakes of Turrican. The list is sorted by average votes, games which are still in developement or dead are at the bottom. If you want to suggest a game, write to t.r.schmidt@nemmelheim.de. Turrican inspired Freeware (!) game, plays much like it ! 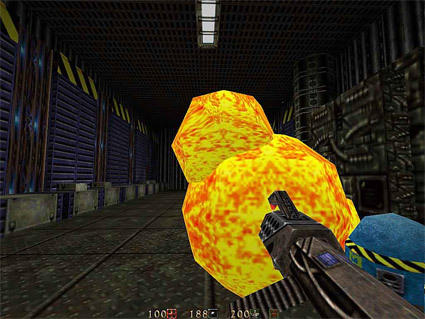 Features many things (lighting-, pixel- and shading-effects) you´d expect from a modern game. At the start of the tutorial do a wheeljump and roll into the wall to your left. You will fall down to the secret warpzone and can jump to any level. 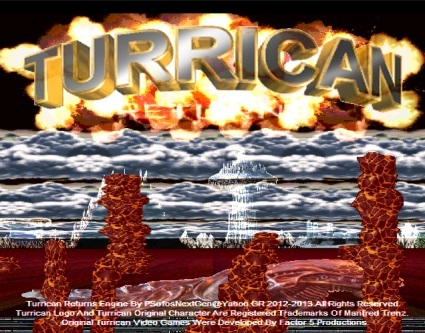 Turrican Freeware Clone, uses the original MS-DOS-Gfx, Amiga Sprites and the original Soundtrack. Features new and very huge levels. Long ago, there already was a demo of it, but is was stopped after the Team was hired by Similis. Now (2004) they have finally finished it! Facts: There also is a seperate intro available, look for "Return of Darkness"
A Turrican Clone based on T2002, done by Dex all alone (beside voice-effects from his girlfriend ;), with complete new gfx, levels and music. 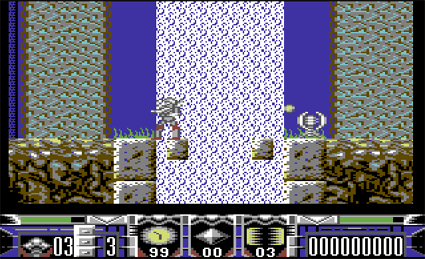 A small Turrican Clone, done bei "Shezzor" in only 3 days and in Blitz-Basic. Uses gfx from Super Turrican. Only one level, roughly playable. Offiicially available for free, download here! 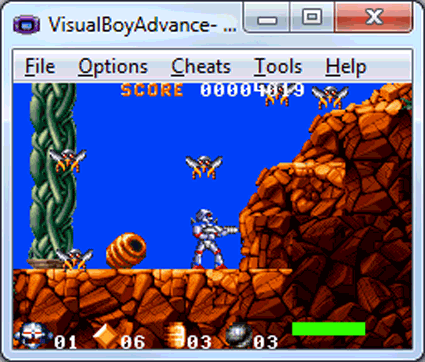 A small Turrican clone for windows, uses only 32kb. Gun Lord is a Eurostyle Platformer with emphasis on exploring huge worlds and blasting off enemies. This game features 9 stages of exciting 2D game play with over 45 unique enemy types. Blast yourself through giant landscapes, explore caverns and reveal all secrets!! Facts: Available for Dreamcast and NEO-GEO, created by NG:DEV.Team. Music composed by Rafel Dyll. Looked very promising and and hat a very playable engine-Demo in 2008. Turrican for Gamegear. It plays very smooth, and is a good mixture between Turrican 1 & 2. It features the full Turrican 2 weaponry (Powerline, Wheel, Mines, Bounce, Multiple and Laser). The graphics are quite simple but done with much detail, especially if you compare it to other 8 bit-systems. Already playable since years but still in development. 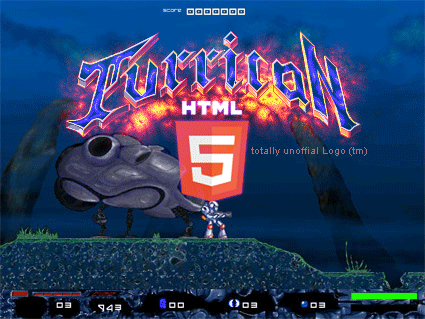 Robert, webmaster of turricanforever and teacher of Mädcheninformatik at a university, startet to implement a Turrican-Game playable in html5-Browsers. "Hyper Turrican Mega Leet 5 (abbr. 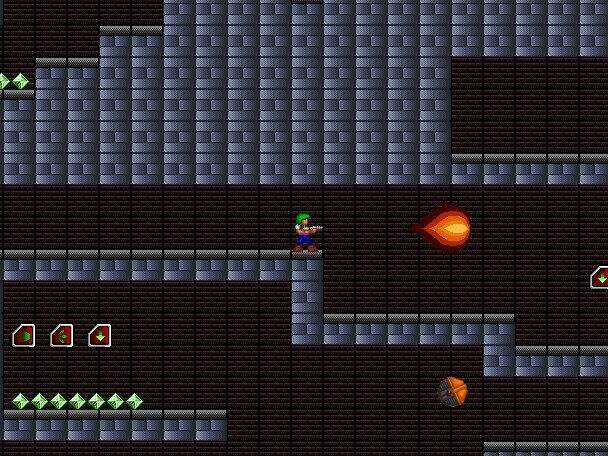 HTML5) is a little experiment of mine to run T2002 levels in the browser. It's programmed in haXe using a game engine I originally implemented for teaching university courses in media computer-science (in German Mädcheninformatik, I think there is no real English translation for that). I also cheat a little by looking at some C++ code of an earlier effort to reimplement T2002 which I never finished. It runs in HTML5, Flash and natively in just about anything but right now I'm mainly interested in checking out if pure browser tech can handle the game. Currently have no idea how far and how fast (or slow) this will go. I'll use this thread as a change log. The current version is always available at http://player.robdangero.us. Facts: Currently it is using levels and graphics of Dex´ wonderful Turrican - T4 Funeral! A Remake of Turrican 1-3 for the Atari STE, TT and Falcon. 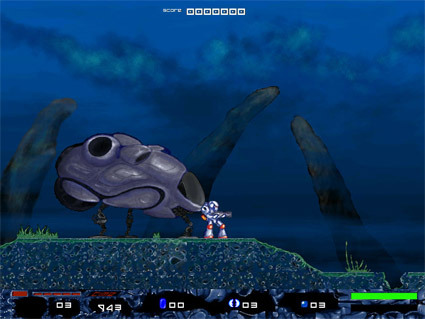 Turrican Clone with new graphics, created with Game Maker Studio by Xiphos2000. 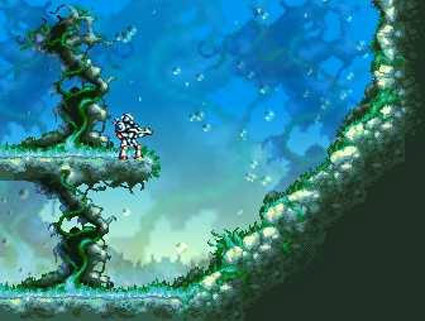 Turrican Clone, will feature complete new GFX, Sound and Levels. It will be held old-style, but feature SNES-like effects. This is an attempt to convert Turrican to 3d using the Quake 2 engine. Especially interesting is the ingame music, they use Heavy-Metal-covers of Turrican themes. Unoffical C64-Follow-Up by Protovision, was stopped because of copyright reasons. It had some innovative Ideas, e.g. 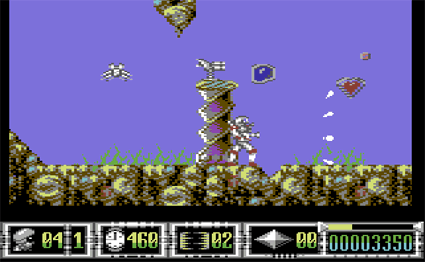 a drone controlled by Turrican which flies around and shoots. Only a demo if left.